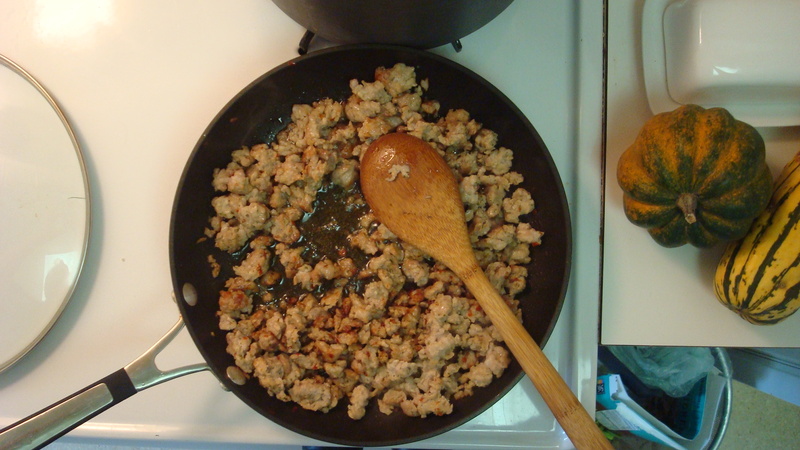 Place the turkey giblets (heart, liver, gizzard, and neck) in a medium saucepan and cover with 4 cups of cold water. Bring to a boil, then lower the heat and simmer for 30 to 45 minutes. Meanwhile, in a sauté pan, brown the sausage, stirring frequently and draining the grease. 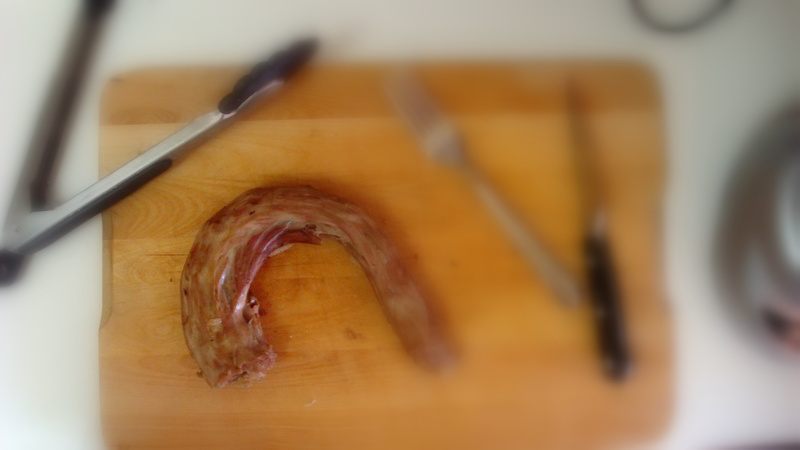 Cook sausage until it is browned and begins to crisp. Add the onion and celery and cook until softened. When the giblets have finished cooking, remove them from the broth—reserving the broth, and set the giblets aside to cool. When cooled to the touch, take the meat off the neck. You’ll have to use your fingers to accomplish this rather tedious task. Once the meat has been removed from the neck bones, add the neck meat along with the other giblets to a food processor and pulse 5 or 6 times until the meat is the texture of oatmeal. 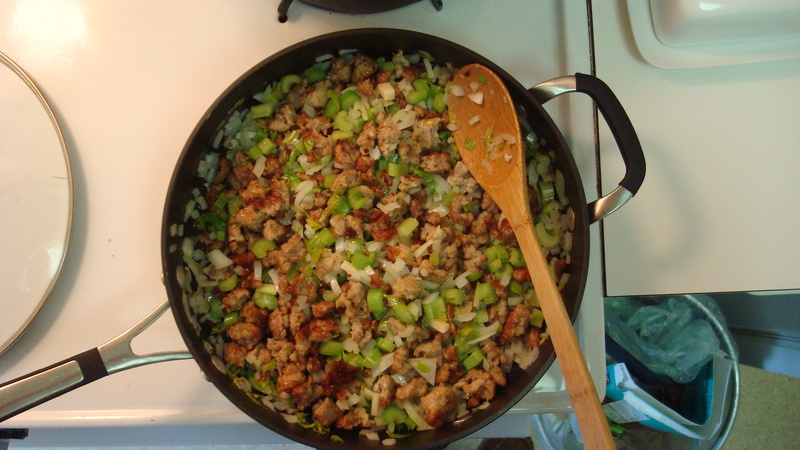 Combine this meat mixture with the stuffing mix and combine well. Using the broth from the giblets, pour one cup at a time over the stuffing mix, stirring well to incorporate until the mixture is just moist. The stuffing should not be mushy. It should have a good texture. Season with to taste with salt, pepper and sage. Place the stuffing in a casserole and bake at 350 for 30 to 45 minutes.